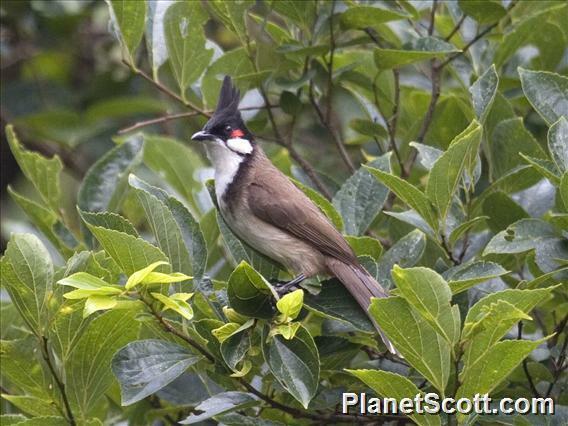 Pycnonotus jocosus (Red-whiskered Bulbul) is a species of bird in the family bulbuls. It is found in the Indo-Malayan Realm and the Palearctic. It is an eats fruit.